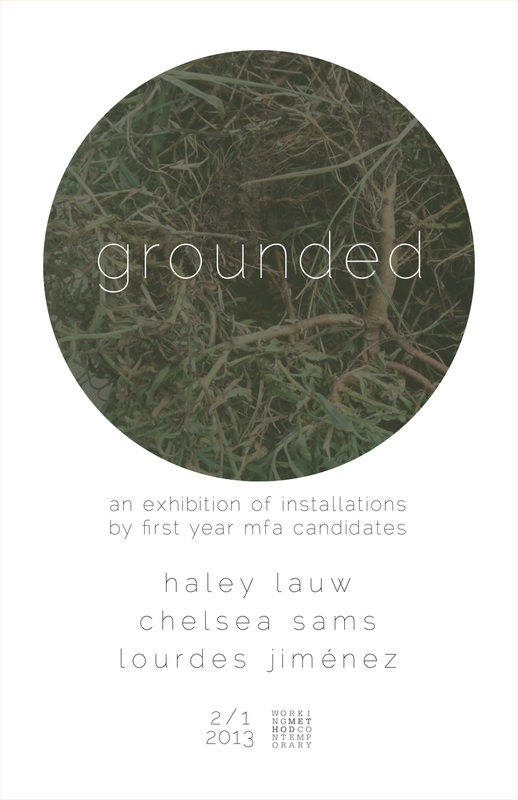 The Working Method Contemporary Gallery presents “Grounded,” an exhibition of installations by first year MFA candidates: Haley Lauw, Chelsea Sams, and Lourdes Jimenez. Each installation aims to explore different experiences regarding the earth beneath our feet. The show will be open to the public on February 1st First Friday in Railroad Square, from 7pm-9:30pm.